You know I lost count. I can't remember how many blankets that I made. 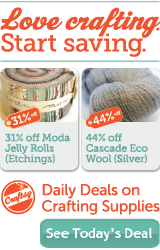 I do know that I made four blankets in the fall of 2012. Holy smokes, I didn't realize it was that long ago already. Anyway, I made four very different blankets for a few co-workers as Christmas gifts. I think they all liked them. This blanket was made for my Mom. She loves all shades of green but especially dark, forest green. 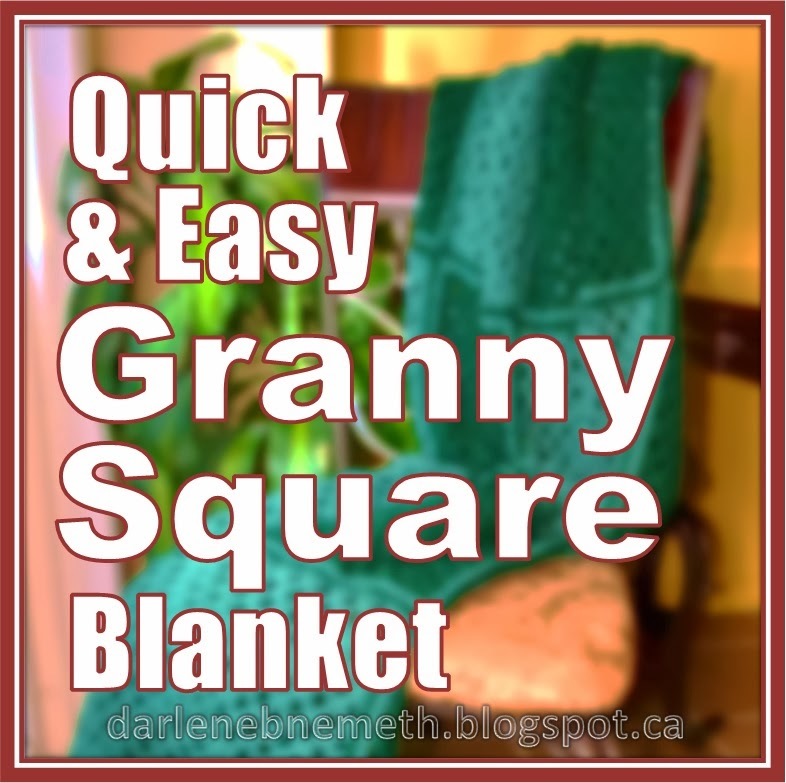 This is my quick and easy granny square blanket. It's easy to make. 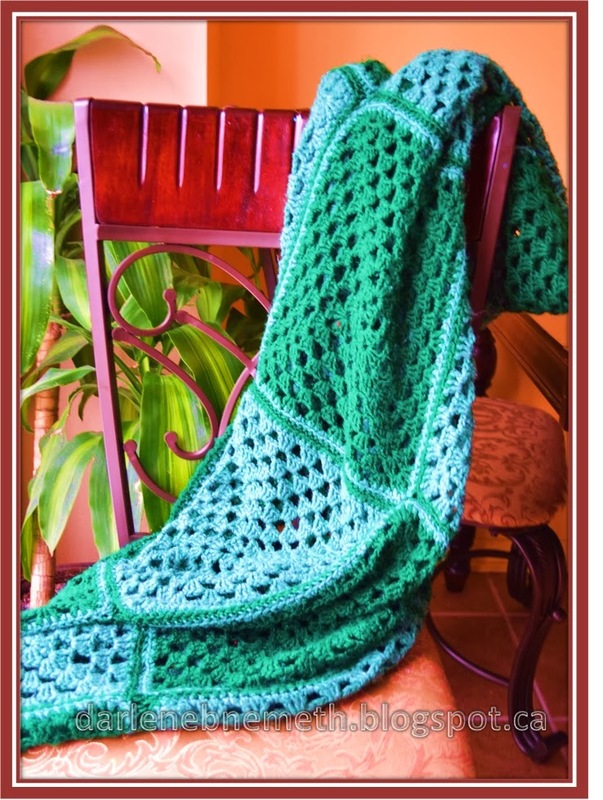 You only need to know a couple of crochet stitches to complete this blanket - single crochet and double crochet. 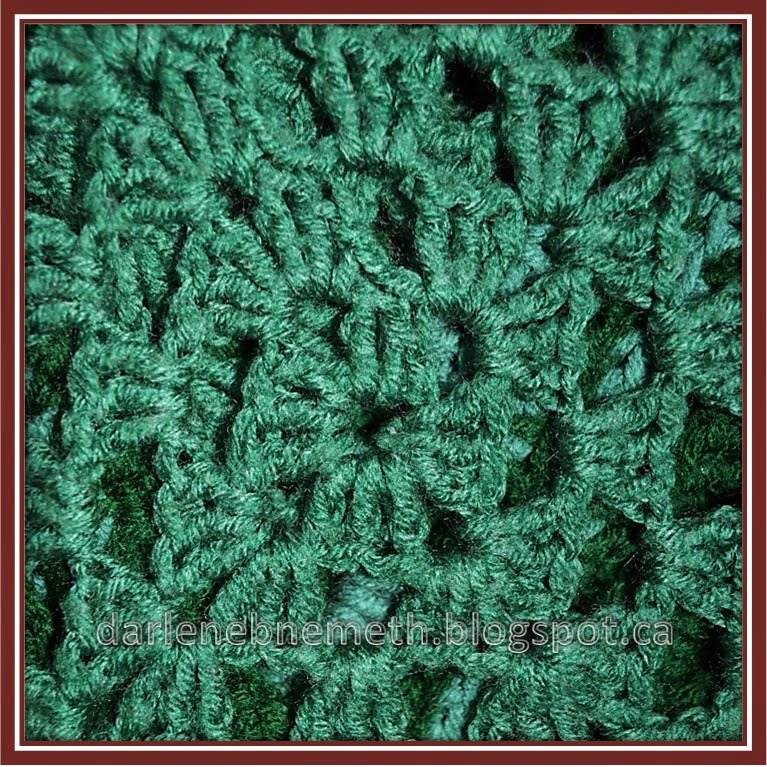 The squares are a solid colour with a contrasting shade border which makes crocheting these squares quick. Changing colours can be so tedious. I made 10 rounds for each square then single crochets a border. Once all of the squares were completed, I joined them - four squares wide and six squares long which translates to approximately 4' x 6'. Lastly I crocheted a border. I did three rounds in dark green, one round in light green then one more in dark green. The border is wide enough to give it substance and a finished look. And voila. The finished product. It's so soft and cozy. Too bad Mom won't get it. My daughter has already laid claim to it. My crochet hook hasn't even cooled down yet. I'll have to get to work on my next project. I am so excited and honored. Debi and Charly featured this post on Wednesday's Adorned From Above Blog Hop 74. Please check out the other features HERE. 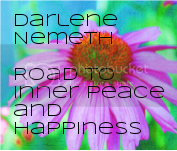 If you would like to receive my blog updates please subscribe via email . . .
. . . or follow me on Twitter, Pinterest or Blog Lovin. Lovely blanket! I like the shades of green you used. I love granny square blankets! Thanks, I'm glad you like it. I love granny square blankets too. They all look so different depending on the colours used. Thank you Krystle. I thought about it but I wasn't sure if it would be worth it. Pretty blanket. I like the color. I used to crochet and knit blankets but have not made one in a while. I am into making scarves, shawls and tunics the last several years. I'm still in the blanket stage. Although I have made a few hats lately. I want to give socks a try. Very cool project! Love the color...of course green is my favorite color!! Visiting from LOBS! Green is a very popular fav colour. My favourite colour is dark reds then it's other reds and pinks. Oh and some yellows. 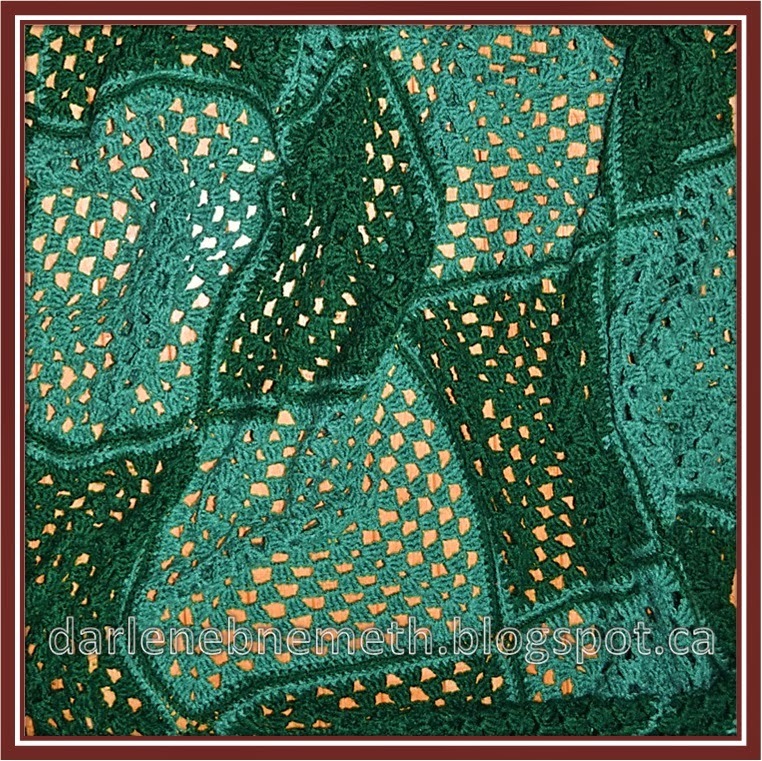 Thanks for sharing your lovey blanket at Four Seasons Blog Hop~ I knit but I have never learned how to crochet. My mother-in-law made everyone in the family a blanket for Christmas one year and I am so happy to have that now that she has passed away. Hi Lynn, I started with knitting but once someone showed me how to crochet I found that I preferred it. I'm not sure why. And you are right. It is nice to receive things like this from people you care about - it's something to cherish. You're inspiring me to learn to crochet!! I need something to do with my hands at night other than type on the keyboard! Thanks for sharing these beautiful pieces with us at LOBS! I love crocheting while watching tv. I also found it helpful when I was quitting smoking. It is an easy skill to pick up. 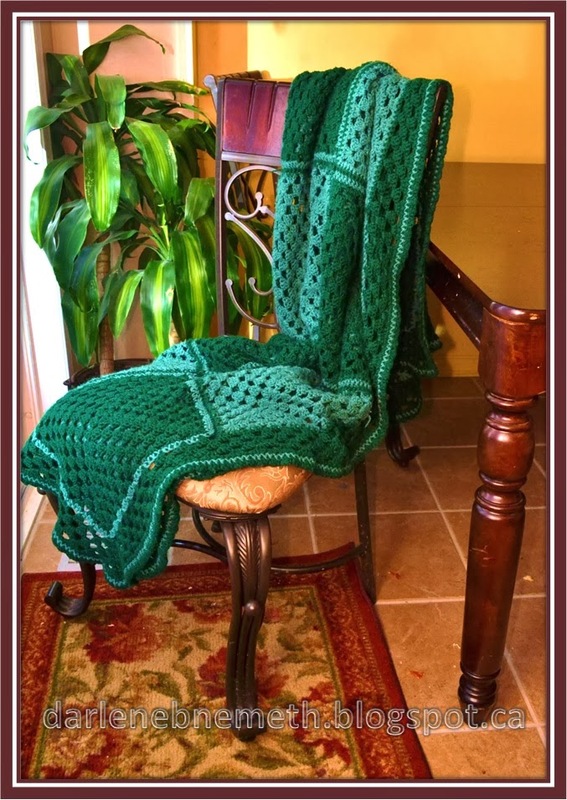 This is really beautiful, my grandmother loved to crochet. I still have her yarn and needles.... Thank you for sharing and linking up with us @ the #WWDParty - have a wonderful weekend. I love every single thing about it!! Thank you for linking to Super Sunday Sync! I love to crochet! This really makes me want to get back into it! 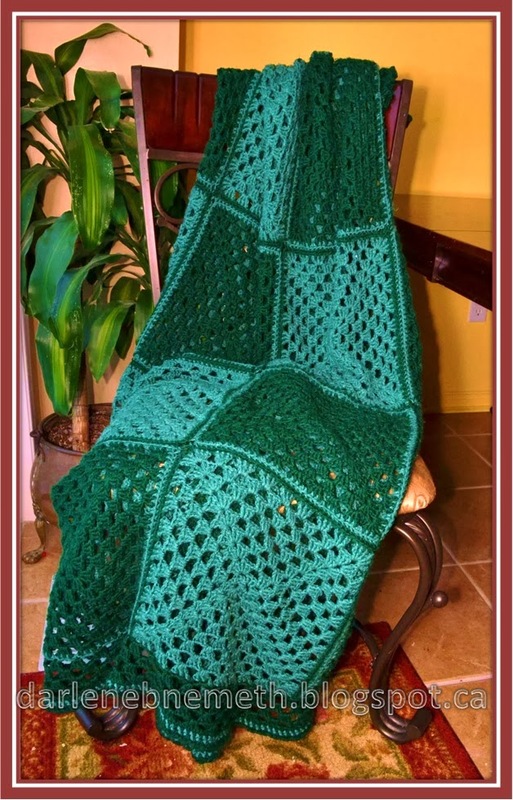 I am not a huge crochet blanket kind of girl but I want this one, it looks modern, cozy and my favorite color green. Thanks for linking up to the all things pretty party. This is gorgeous! Thanks for joining the WWDParty! Please be sure to link to us in the future! We want to spread the word AND be able to feature and pin great posts like this!